La Rambla - Blogger is fun, fresh, and so easy to set up and specifically made with the blogger in mind. 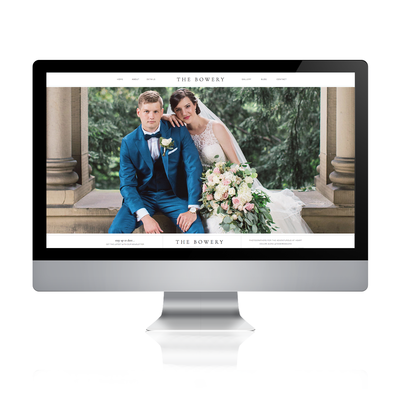 Fully functional, yet fully customizable, this website has everything you need built right in. Boasting bold colors throughout, it's the perfect site to show off your blog posts, photos, and bring in readers & clients! Features include // Newsletter sign up, social media links, blog and single post set up, and much more. ***PLEASE NOTE: THIS WEBSITE IS MADE FOR SHOWIT AND WILL ONLY WORK WITH SHOWIT. **BY PURCHASING THIS TEMPLATE, YOU AGREE TO NOT COPY OR RESELL THIS DESIGN IN ANY WAY. YOU ALSO AGREE TO HAVE READ THE FAQ SECTION IN IT'S ENTIRETY AS TEMPLATES ARE NON-REFUNDABLE. Because Showit boasts a no coding necessary, drag-and-drop layout, literally everything is customizable! 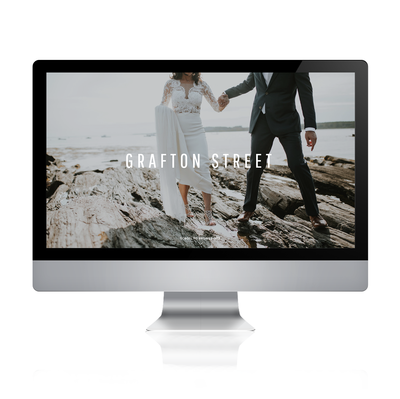 Some of the things you can customize include (but are definitely not limited to): Colors, graphics, images, fonts, logo, layout of site and menus, gallery displays, look of the blog, and much more! Showit offers amazing live chat support and incredible customer service. The Showit team is there to offer a helping hand for anything from tech issues to how-to. Their help section is also full of tutorials and step-by-step instructions for how to set-up your new site. Showit5 is THE easiest way to quickly set up and edit your website with no coding, designing, or professional skills required. The drag-and-drop features make it simple to go from zero to awesome in no time. • Built-in WordPress blog that matches the design! 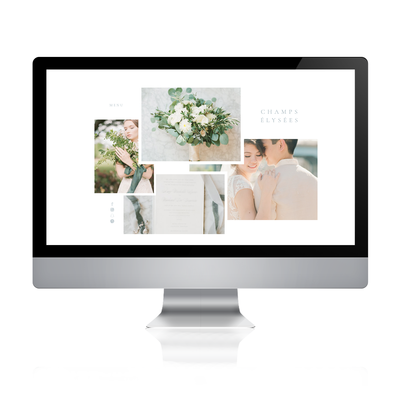 • Three easy-add gallery layouts - go with all three or choose the one you want! 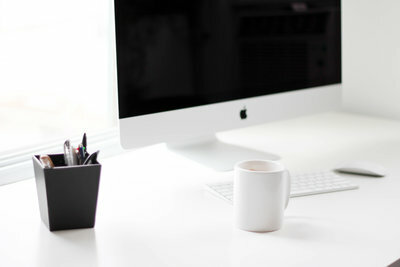 Browse The Site Shop for a template you just can't live without! Add it to your shopping cart and voila! You're the new owner of an amazing template! Once you check out, you'll receive a "design key" for the template you've purchased. Copy and paste the "design key" into your Showit account to get yourself started! This is the fun part! You can use the template as-is, or make changes to better suit your brand. The drag-and-drop features make it so easy! Your site is finished!!! Wooo!! Launch, tell everyone you know, and have a pizza party - because pizza is the best celebration! Our templates are one of a kind, fresh, modern, and totally easy to use. We also only sell a limited number of each template, so you can be sure there aren't thousands of other people out there with the same site! why should I buy a template from the Site shop? No way! Showit is an easy drag-and-drop website editing platform! No coding, or experience, required! do I need design experience to set up my site? 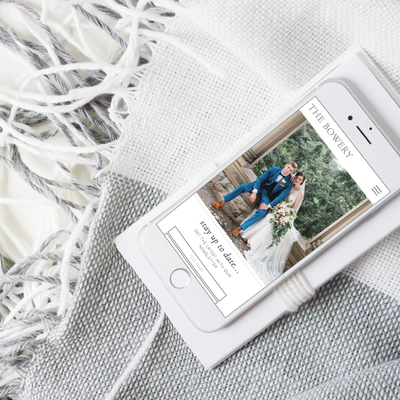 As soon as you purchase, you'll get access to your design key for the template you purchased. Apply the design key to your Showit account and get started! In order to use your template, you'll need a Showit membership. You can purchase your membership at Showit.co. do i need to purchase anything else to build my site? Showit will be your new hosting company. Please direct any hosting questions to them! Who will host my site? Do you help with site setup? Due to the fact that the templates are digital and come with a design key, they are non-refundable. Absolutely! Showit is fully responsive and built to look beautiful on every device. Showit is a website editing platform with a built-in Wordpress blog to match your site. All editing of the look of the site is done on the Showit end, and blog content is written and posted on the Wordpress end. Why does the description say Wordpress blog if it's showit? No. All of our designs are protected by copyright and each individual client will need to purchase their own template. Can I sell a template I've bought from you to my clients? Can I give them away? No, but it's appreciated!! If you have hired another designer to customize a template you've purchased from me, it's customary to credit both designers (ie. 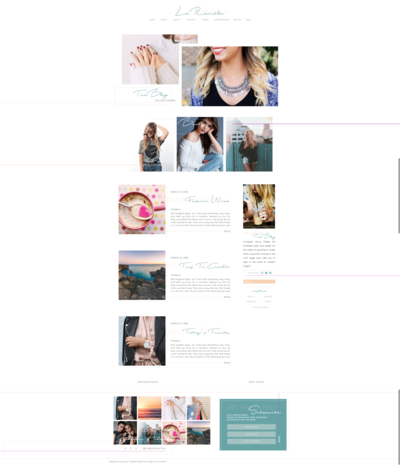 "Site design by Kaleigh Turner Creative. Customization done by Jane Smith Designs"). Under no circumstances should the designers who is doing the customization be credited as the site designer. 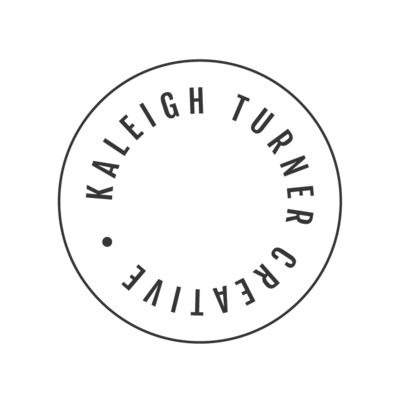 Do I have to credit Kaleigh turner creative on my site?